So why is a smoothie bike a good activity to have at a wellbeing event? Well they are a fantastic interactive tool to physically demonstrate and link healthy eating and exercise. Rather than just having somebody telling (lecturing or preaching could be inserted here!) 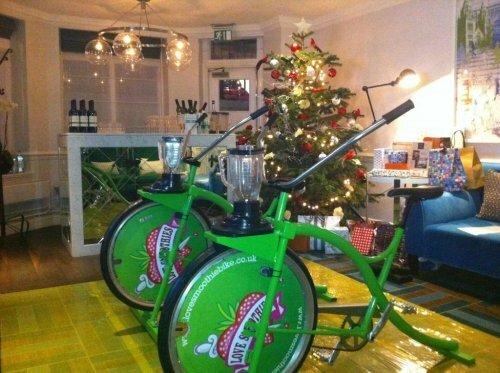 your guests what they should be doing, a smoothie bike actively involves the individual in a fun way to physically use their own body to produce a healthy drink. 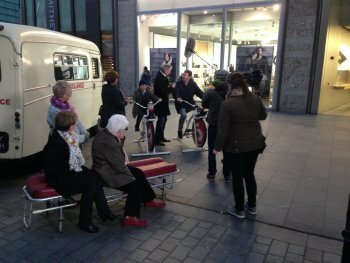 It is not too strenuous and takes around a minute or so to complete so virtually anyone at any level of fitness can take part, and the people who can most be helped by this education are often those that are put off by taking part in activities as they feel they are too unfit. The smoothie bike is a great leveller, no lycra or training required, it is always fun and brings out the kid in most of us and the vast majority of people have a big smile on their face as they pedal blend. Don’t believe me? 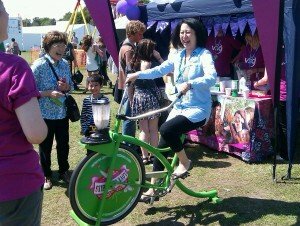 Just look at this lady using one of our bikes at a festival! The range of drinks that can be produced on a smoothie bike is as big as your imagination. 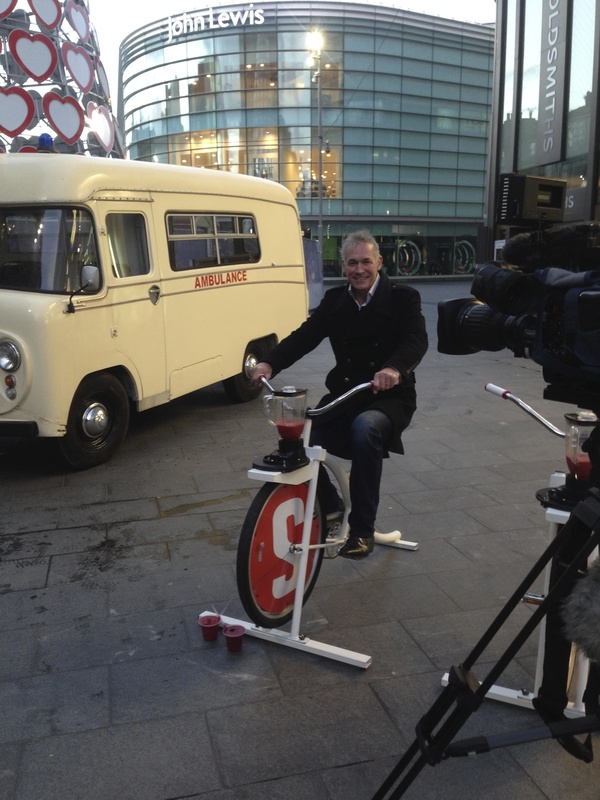 Are you promoting 5 a day within your organisation? 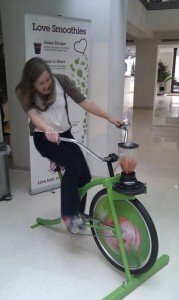 Then a pure fruit or fruit and vegetable smoothie can be easily mixed up. Is your event on a very hot day? You can crush ice in the blender or use frozen ingredients to have a deliciously thick ice cold drink. Add herbs, nuts, seeds, milk or coconut oil to produce the most nutritionally balanced smoothie the world has ever tasted! 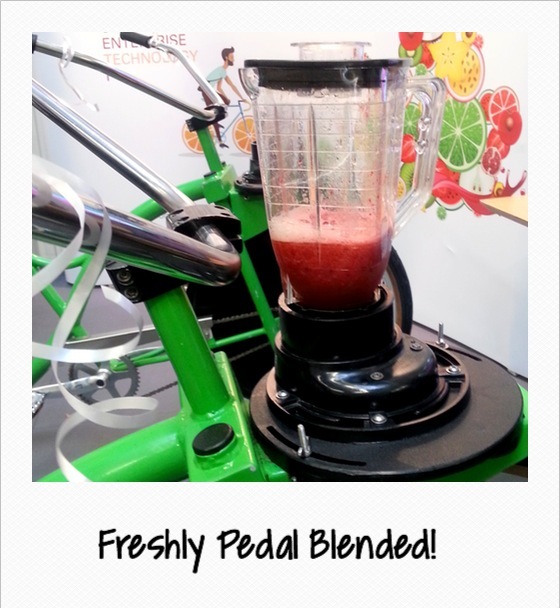 It will all blend using your guests pedal power in minutes if not seconds! 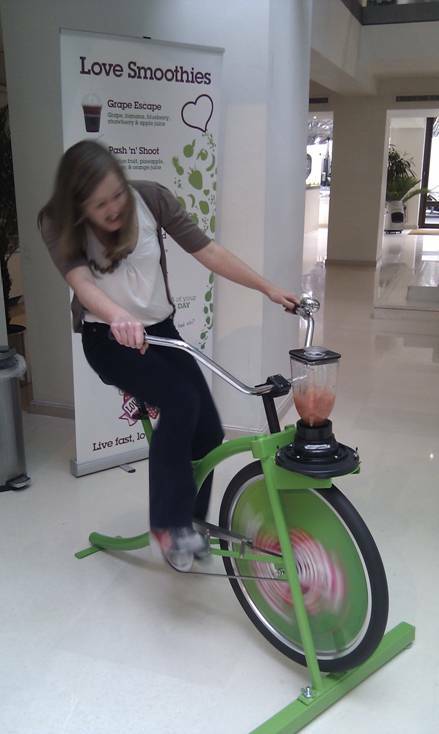 Stuck for ideas on what to blend or worried whether a smoothie bike will be right for your event? Feel free to contact us and we will be happy to pass on our 5 years+ experience of pedal blending at events to see if we can help or not. 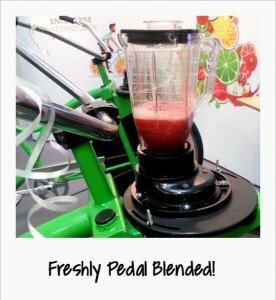 Summer starts with Smoothie Bike Arcade! 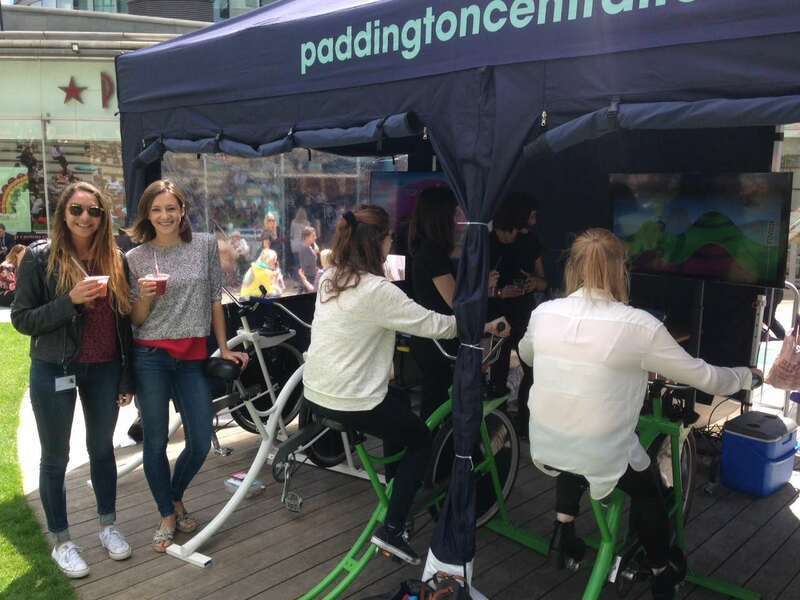 Earlier this summer Paddington Central Business Campus invited Love Smoothie Bike to kick off a week of summer events with a 6 bike smoothie bike arcade installation. We were positioned in the middle of their events amphitheatre with the blending bikes, 3 arcade screens and hundreds of smoothie ingredients. 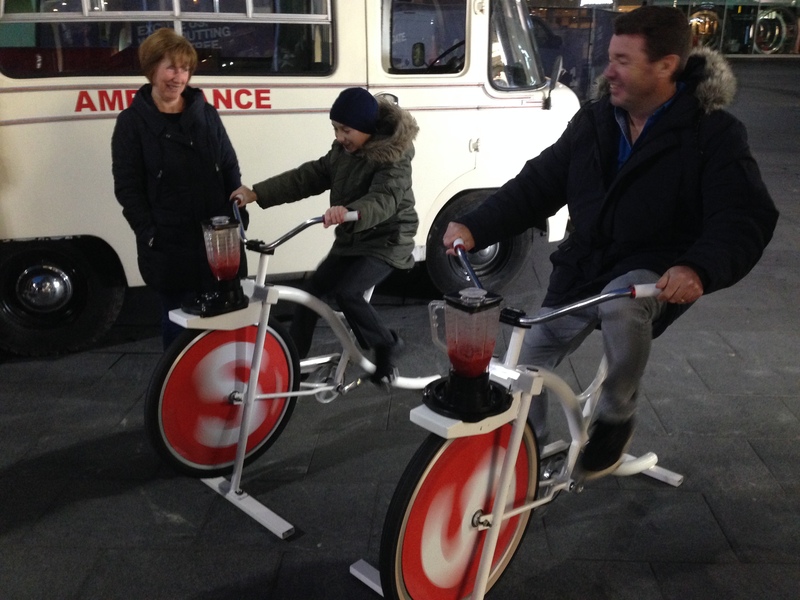 Workers, shoppers and anyone else were able to compete to try and pedal blend the perfect drink on our fun skill based arcade game, and everyone who played received their own blended Love Smoothie and a great tote bag courtesy of Paddington Central and featuring their new branding! A great way to introduce the summer, a new look for a brand and competitive pedal blending into the collective consciousness of W2!